Airline Industry Tech Provider Sees Major Role for NFC to Speed Check-in and Boarding | NFC Times – Near Field Communication and all contactless technology. Airline industry IT and communications provider SITA has demonstrated NFC-based check-in and boarding in the lab with the Samsung Galaxy S II. The airline industry-owned organization predicts most passengers will be using the technology by 2018. With the help of NFC technology, airline passengers will routinely tap their mobile phones to pass through security checkpoints and boarding gates by 2018, predicts major airline industry IT and communications services provider SITA. 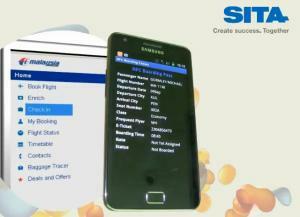 Switzerland-based SITA announced yesterday that it had demonstrated with partners the use of NFC to load boarding passes over the air to SIM cards in the NFC-enabled Samsung Galaxy S II, which users could then tap to automatically pass through security checkpoints, enter lounge areas and access boarding gates. The partners in the project included mobile operator France Telecom-Orange and its Orange Business Services unit. NFC phones could store 50% to 80% of all boarding passes by 2018, provided the rollout of NFC phones and other infrastructure meets projections and the airline industry agrees on standards, predicts SITA. Article has about 1260 words.